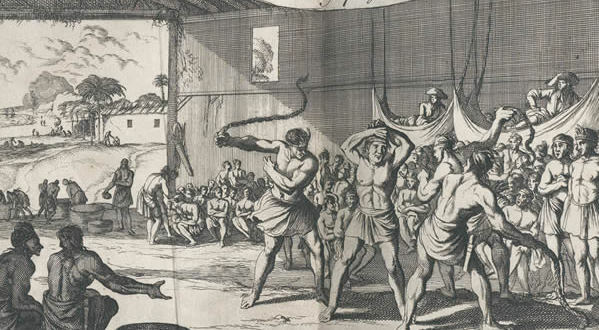 The Dutch presence in the Guianas and the Amazon River goes back to the end of the 16th century. During the first quarter of the 17th century, numerous factors traded with the Amerindians on behalf of Amsterdam and Zeeland based merchants, eventually founding fortified outposts, often in collaboration with the English and Irish upon the Amazon. In 1627, the Zeeland Masters Van Rhee and Van Pere founded a private colony along the Berbice River – in the present Republic of Guyana. There they traded mainly annatto but also tobacco and hammocks with the local Arawak population. 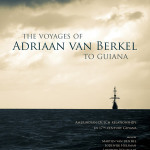 Next to the journal of Captain Gelein van Stapels (c. 1629) – to be published soon by Martin Wallenburg, Lodewijk Hulsman, Alistair Bright and Martijn van den Bel – Americaansche Voyagien (1695) by Adriaan van Berkel relating his travels in Berbice, Demerara and Essequibo, represents another very important testimony of the Dutch presence at the Wilde Kust or Wild Coast. In 1670, Adriaan van Berkel, aged 22, left the city of Leiden to visit the Zeelander colony of Berbice. 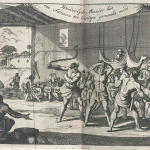 He was engaged as a merchant and secretary by the above mentioned patrons to sort out a heated matter between this Zealander colony and the WIC colony along the Essequibo River. He got acquainted with sugar plantation life and its organisation, but also with the country and the indigenous population with whom the Dutch traded annatto. It is only in 1695, twenty years later, that Van Berkel’s adventures were published by the notorious Amsterdam publisher Johan ten Hoorn, editor of the pirate’s tale of Exquemelin. According to the ordinary plagiary custom of those days, the book contains numerous sections taken from other famous books about the Americas written by authors such as Biet, Champlain, Thévet and Staden. 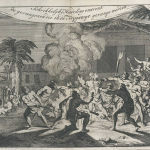 The editor also added a second part to the book consisting of a Dutch translation of George Warren’s An Impartial Description of Surinam upon the continent of Guiana in America (1667) as well as a detailed description of the murder of Governor Cornelis van Aerssen van Sommelsdijck in Paramaribo in July 1688, which is often cited by Dutch historians. 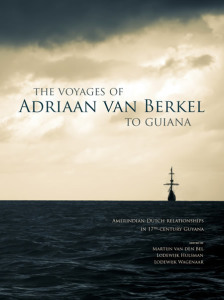 The Amerikaansche Voyagien of Van Berkel is without any doubt one of the most important and earliest publications of the Dutch presence in modern Guyana. It represents a solid contribution to the knowledge of the early private and WIC trading ventures on the Wild Coast. 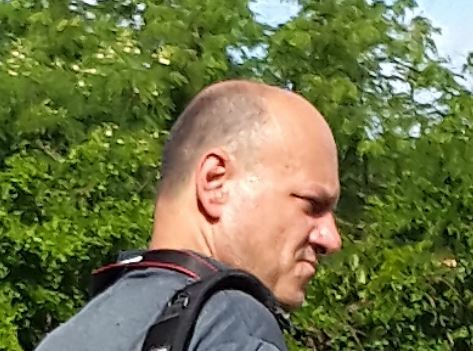 It also features important early ethnographic information about the Amerindian peoples dwelling in this region, notably the Arawak or modern Lokono, and their ties with the Dutch traders. 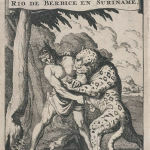 The description of the colony along the Berbice River clearly shows that the Dutch were close partners of the Arawak and enemies of the Caribs of the Corantyne and Suriname Rivers.